Shopping for One Piece Statues? 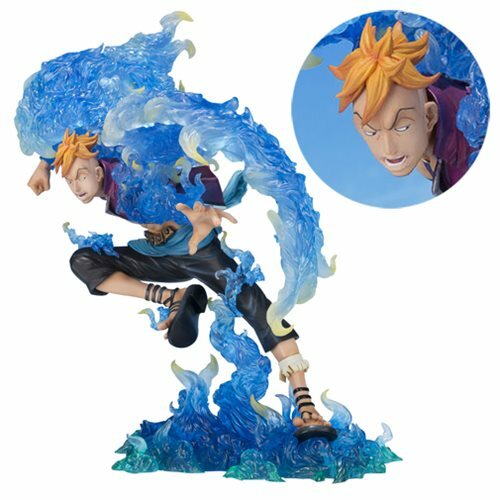 The One Piece Marco the Phoenix Figuarts ZERO Statue is wreathed with dramatic effect parts rendered in a spectacular translucent blue, to represent the characters "phoenix wings." The approximately 7-inch tall figure includes a display stand. Age 15 and up.